Well it finally arrived and was it worth the wait… absolutely. So from Page 100 we dive into Secrets 7 thru 22 and there is a lot covered. If you’ve watched the free training on the Perfect Webinar Funnel this expands on that training breaking down each step and offers so much more of an insight into the process and mindset of selling. With the information given you can apply this information to a webinar, a video sales letter, a live sales presentation, an email sequence or even a website. So now there are two books you need to read this one and Russells other book DOTCOMSECRETS. But read this one first. This is about telling stories where we build rapport with the hero and then introduce their desire for something more. This is the power of the story that is the bridge between the initial discovery and the journey we take the individual on. So Secret 8 is the Epipany Bridge Script which he breaks that down into its 8 core sections. Secret 9 is about the False Belief Patterns that we all have. Like the elephant that has been trained as a baby when is tied by chains to stop it escaping. But as it grows older, bigger and stronger it is now “chained by a thin rope” which it could break so easily. But it is “chained” in it’s mind so it doesn’t even attempt to escape cause it believes it can’t. Such are our false beliefs that bind and hold us back. Secret 10 is the 3 key secrets that come to the surface and stop us from buying and what beliefs we as marketers need to break in order to get the sale. Secret 11 unravells the irrestible offer and is called the Stack Slide. Its the irrestible offer after all. And nothing more or you will loose sales. This time proven sequence has made millions and it will make many millions more. Russell’s gems of wisdom in the most practical sense will take you all the way to Secret 22. This book is a must read for every marketer, salesman and certainly entrepreneur. And if this plug-in works that i’ve just installed..
this post done on WordPress should end up being listed as a Facebook Post. There been a lot of hype with the release of this book. But as we reveal in this Expert Secrets preview multimillionaire marketer Russell Brunson reveals inspiration for entrepreneurs worldwide. I’ve only read the four chapters that have been released as a teaser, but I can assure you that the one hundredth page came up way too quickly and has left me with credit card in hand waiting for the clock to strike…. But at that time, in the dim morning hours just like everyone else I can actually place an order. That is if their servers don’t crash..
Russell’s is giving it to us for free… we just have to pay the postage…The least we can do is take it. Now what I am describing is exactly what this book is about, an individual creates a groundswell of followers that can make the caring and sharing entrepreneur the next Steve Jobs or in this case Russell Brunsen. I can say that Russell has very much exposed why entrepreneurs have to move forward, it is their/our duty, and that anyone can start with nothing and not only turn it into something, but inspire many others who will listen so that they too can not only be inspired, but also make a difference and spread the joy. This book is about hope, with the global community looking for help in any topic niche, anyone can create their own niche and inspire others to make a difference. Everyone has a gift, this book is about identifying it and moulding that pathway to sharing that, and in the groundswell reaping the rewards. But it’s not about you or that individual, it’s about the greater good, no actually…. the greater great! But for the few of us who make the effort to not only read it, but be inspired to not only think about it and dream, but then actually act and move forward. So yes I am an affiliate for it, but only cause I choose to be and make the effort. Get it right in selling online – the statistics seriously DO mater! Ok, this ones worth reading, for any of us that sell online we can all tell stories, of what does’nt work in our online sales funnels. For those of us that have stuck around for long enough, and not given up, we could tell you what does work. Selling online, while it certainly involves marketing, it also involves the science of what works and what doesn’t work, or what kinda works. And it is a science, as it is based on numbers, and we call those numbers conversions. For the newby this can be the difference between buying food for the next few days verses paying rent and eating. So how, in our sales pages, do we really know what’s converting? What is working in our sales funnel pathway and what isn’t? Well yes, obviously sales, but how many sales? What is restricting or loosing the conversion? It’s interesting I’m a member of one of the Clickfunnel’s private Facebook groups and people will ask for assistance and advice and many will respond with advice and help. It’s a great supportive environment. A great place for any newby to ask for help when their online sales funnel fails, and it is a common problem, lot’s of visitors but no conversions. 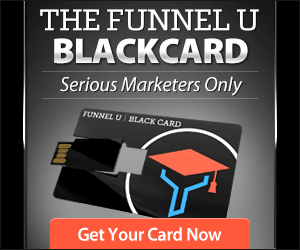 It’s certainly not the Clickfunnel’s software, that has been well proven and millions of dollar has been made with sales funnels created using it. But of course there are some people that build will a funnel but then don’t actually test it, that is buy their own product…. At the end of the day, once you’ve proven the tech works, what it all comes down to, is the content and the offer. But then if it does work, a few tweaks could be the difference between selling a few units and selling lots. So how do we know? How do we improve? We create two almost identical or quite different landing pages, then alternatively send traffic to each. After a predetermined period, one is declared the winner. The difference could be as suble as the headline or the placement of an image. Or that one page that was a long form text only sales letter, verses a video sales page. Is the red “Buy Now!” button more effective than the green “Buy Now” Button? Ok so, that sounds simple… but how do I do that, on my WordPress or HTML based site? How do I know where to start? What differences should there be between the pages? How do I make the tech work? Firstly there is a software service called Split Test Monkey that for a very low fee will create a url address you send traffic too, from your add or link. It will then it will send your traffic to the alternating landing pages that you specify (up to 6 actually but I wouldn’t recommend more than two or it get’s too confusing). Then you can monitor the outcome and improve. 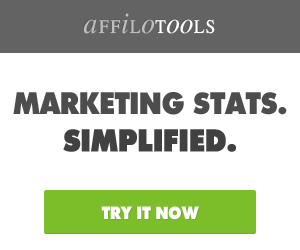 Or if you are a Clickfunnels user that functionality is already built in. It’s scary, actually, when you see what does and doesn’t work well, and you will seriously question why you spent all that money on graphic design that look’s great… but doesn’t actually convert very well or does it? Where the proof you ask? Well you can get that for free, it will just cost you the postage, and give you some direction of where to start with you landing pages. Russell Brunson’s “108 Proven Split Test Winners” is a real eye opener of a reference book on the topic. 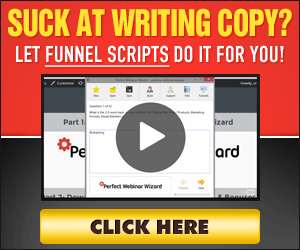 I’d also recommend you watch Russell’s free webinar on Funnel Cloning where he actually goes to Clickbank’s headquarters and looks at Funnels that convert. If your going to create a funnel you might as well clone one that has been proven to work in your niche! 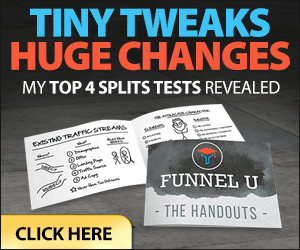 Hey, if you want to get really serious Clickfunnels even created its own university called Funnel University the ultimate split testing reference. Yes I am an affiliate for the products mentioned in this article but I wouldn’t even mention them if they didn’t provide value and potentially make you money as in some cases for no outlay or a small investment. Wishing you a high converting, non-leaky with upsells, additional units and downsells, one time, expiring soon while stock lasts, finishes tomorrow, with gift wrapping, overnight delivery, free download, not banned by Facebook successful online sales funnel. Ever created a website, listed it with products, sorted out the shipping, the merchant payment and then have sold nothing. I’ve created a few of these and it’s bad, the owners like it cause they have a really nice looking shop online, but then have no budget to advertise let alone build a list. Their trade comes through the front door or at least it did, but now that’s dieing thanks to E-bay and Amazon. Their website that is now out of date as all the pricing and models have changed, and you can get the same stuff cheaper elsewhere. Their income has to be sourced now from other areas within the business or their doors close. Some distributors are even selling direct online, cutting out the middle man, and once the customer figures out who the distributor for their desired product is, they deal direct or buy pass even them all together, and import it direct. The line between the manufacturer, the importer, the distributor, the retailer had not only becomes blurred in todays world it’s rubbed out. The corner shop is no more, it’s the speciality store that pays it’s profits in rent to the shopping centre shareholders that own the premises. So what does all of this do for us, the online markers? We can setup an online store for almost nothing. We could sell information packages, where what was worth $20 as an ebook is worth 10x that or more as a 4 week one step at a time video/audio/handout course that achieves the same outcome. The same info presented in three ways is 10x the value. Or go the next level and do the “personal mentoring inner circle” that will ensure results that you can take 6 weeks to setup the business process, cost 25K and then a 4K a month retainer/service fee with new “funnels” of business being extra. Oh and take 20 – 50% of the profit if they can only afford 10k initially. Sell the affiliate product, sell our own product, create our training courses and membership courses or do our one on one or one to many coaching? Well you have to decide, the best part is if you can deliver, AND market your wares you could retire rich and/or have the DOT COM lifestyle. 3. To actually DO IT! Now you can shortcut years on your success path if you have money to invest in your future, likewise you can loose lots of money if you buy the wrong stuff. Find the mentor to make you work! YOU HAVE TO HAVE WHAT IT TAKES! You think you can make it online and be successful without the three steps clearly worked through? Come back to me in a years time and we’ll see what’s changed….. Since i’ve started my Blog i’ve had many viewers comment both in English and other languages. I must say that Googles Translate opens up a whole new world, and potential market, that otherwise would never be accessible. However there is certainly some SPAM, maybe one in 10 responses, which should never go “live” so with any blog post you need to set it up so you approve comments before these are published. Now to get your article read, for Bloggers starting off you could post on Commercial Blog sites, indeed the content you are reading here is posted as articles on Bebee.com, Linkedin and links to this blog are on my Social Media sites. So getting the word out for an extra 10 minutes work is certainly an easy task. But from a personal point of view you need to give your blog site a home, at your Domain where you can get readers to go to read it and hopefully click on affiliate links within the document or on the “banner adds on your site” and earn income. Ok so i host my site on the iClickandhost servers running the Hepsia Server Interface (as opposed to C-Panel) it is fast and located in different locations around the world and it is cheaper than the C-Panel equivalents. I actually run multiple WordPress sites within my Domain each running different themes. The blog site uses the rather affordable Generate Press theme and you can watch the video below to see some of it’s easy to use features. There is a free version and that works quite well. The license that you can buy for it is for unlimited sites and it is a clean, easy to setup interface and it works great. Now by placing banner adds on your site is one way that you can earn money through Clicks. That is people Clicking on the links or the Add Image and buying the product that is listed on your page. If this product was an affiliate product you could earn a 50% commission depending on the deal for that product. Now Widgets are the key! to Monetize your site. To set this up you will paste the code for the “Banner Add” into a Text box you create in a Widget. 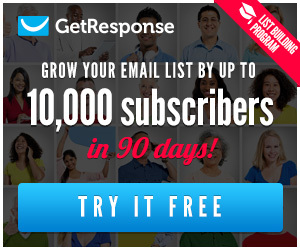 One source of Adds that you can make income from is Google’s Adsense. Here you are paid per add click, as opposed to a percentage of the sale, but it could be an option to earn easy income. But it depends on what you are selling or promoting. 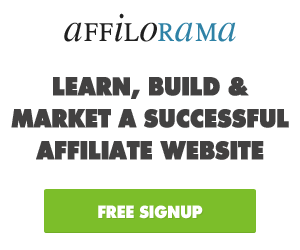 For those of us doing affiliate marketing it is very difficult to get approved….. So there are other add sources. Now i am fussy about the product that I wish to promote so after I have used the product and it is of an appropriate standard I will apply to become an affiliate for it. Many reputable companies have affiliate programs and the ones that are serious have banner adds in different sizes complete with the code, so you can easily add them to your blog post or web pages. They will generally require that you are a user of the software before you can be an affiliate. And you will have to go through an approval process. Two examples on two different WordPress Themes, that i have on my site, has these types of adds in the right sidebars on the blog and latest sections. Now if you just want to add text based adds i’d recommend you checkout the ClickBank Ad Rotator Software by Dave Nicholson and John Thornhill which is an alternative to Google Adsense if you can’t get approved by Google. Another place to get Affiliate products from is JVZoo. You would have to apply individually to each product to become an affiliate for a product. Checkout the Generate Press WordPress theme. Why? because it speaks the truth. If you want an idea of what it contains you can follow this LINK and if you go to exit from the page (at least at the time when i ordered it) you could download 7 chapters of it for free to get a taste. Making money as an affiliate selling someone else’s products on the internet is simply put hard work! There are many of us who after a year or more still haven’t made a sale. You actually have to do the work. BUT actually FOCUS on one thing, and work at it, don’t get distracted…. Now as Patric points out there are 72 ways but you need to pick just ONE! Now to give you the details about these would not be right, but the fact Patric will for free, is a credit to him, as for him, like me it’s about giving back and sharing the knowledge. So should every potential affiliate or internet marketer read this book to get a handle on the industry and avoid some of the mistakes that you will make. Becoming someone that is successful at making an income from online marketing can take a newby quite a while to accomplish. There are certainly shortcuts and pretty well all of these involve spending money and not necessarily small amounts. I guess the best answer is yes and no. And never finish what we start. You can find these advertised on Facebook, and once you tap on a link you will sign up to attend a live (or made to feel live) webinar that will take you through a well scripted and presented presentation. So where do they learn these techniques…. the procedure is so predictable, but also is so very effective at sales. Well it takes two things to make this work. And secondly is what I call the rules of engagement. I watch these webinars now not to buy their products but to see the delivery. Just like now when I surf on Facebook, Twitter, and even Instagram I look at the adds.. whats working and what’s not. Sad thing is what you think shouldn’t work often does. So todays little secret is where you learn to deliver “The Perfect Webinar” and having got the FREE plus postage package version from Russell Brunson. The best webinars i’ve seen convert use this method. Likewise if you want to see what works for conversions on Websites get the FREE plus postage copy of “108 Proven Split Test Winners” it will open your eyes to what should not work but does. For many of us involved in internet marketing, integrating autoresponders into monitoring clicks, made from links in the emails we send out, and putting code on our webpages to check on visits from our customers, is part of the norm. 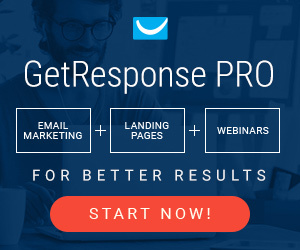 Many of the major autoresponder companies have started to include the ability to create website landing pages, which take their products into the big league. I quite like the editor that Get Response has to create landing pages, and for getting email addresses, their form builder rocks. Seriously I think it’s time we made the effort. And i am sooo sick of multiple emails from the same marketers in product launch weeks when I buy the product (when it’s the cheapest on day 1) but receive another 9 emails from them anyway. Gee it would be good if they had the technology to move me from the advertise to list, to the bought the product list and then market the upsells to me…. Ok so where is this headed. Moving a client from one list to another in the autoresponder, Cool Form Builders, Landing Page Creation Editors, Wonderful Looking Html Emails, Social Media Stats about the Client and their interests, occupation and income level, Sales Page Creation Tools and Sales Funnels editors with upsells. Wouldn’t it be good if someone tied all this technology together into one package that did it all. Yes I am an affiliate for this product but I guess you can see why. For many of us C-Panel is what many of us have used for years. It has grown, been updated, twisted and conformed into the monster that it is today. Kind of like how Windows grew from a thing called DOS which was a text based interface, to the click, drag and now slide and tap user interface that it is today. So the C-Panel graphic user interface sits on top of a Linux operating system. It’s cool, incredibly powerful and I describe it as the server version of a V8 muscle car. But it comes at a cost which is a licence fee which you as the hirer of the place of where your website is hosted pay as part of your monthly or annual fee. Enter the new kid on the block, something that in some ways is modeled off the C-Panel interface but it kinda looked at C-Panels good points and made sure the really annoying things that webmasters hate about C-Panel were never going to be an issue or appear in it. I’ve been using a VPS (virtual private server) version on this for over a year. At the peak I had over 1000 domains hosted on it. Installing a WordPress site or any CMS is a breeze. As is setting up multiple email accounts on different domains. Does it work well? It is fast, if you are reading this post on the https://www.stuffthatworks.news/blog then you are seeing it in action. Why would you host on it as opposed to a C-Panel host? Well if speed, ease of use, local access, having the servers your website is located on at multiple points around the globe are a concern it’s is definitely worth considering. And the biggy of course…… price. And the fact that the help desk response time in every situation that I have had to use it took 15 minutes or less.. If you want to take the next step in the re-creation of what C-Panel should be, or are starting out with a budget of not very much, you should go for the Hepsia system at iClick & Host. So Hepsia is the new kid on the block and definitely worth the look. If it is, then I may be paid a percentage of the price should you purchase that product.